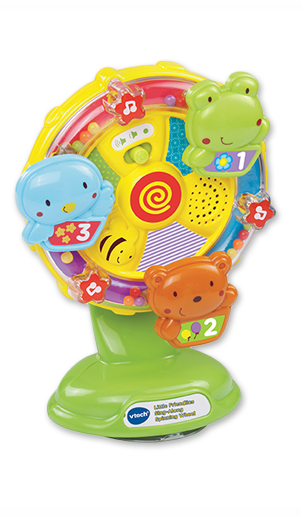 Little Friendlies products encourage discovery through manipulative features and stimulate senses with sounds, colours and soothing melodies, via the cute and cuddly animal characters. 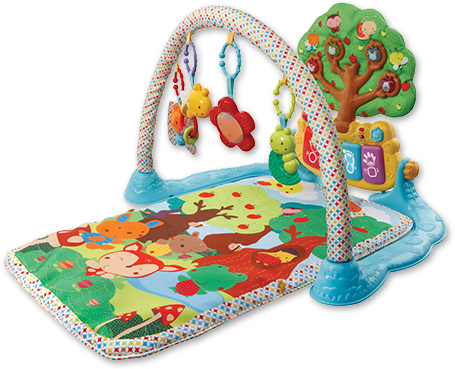 Beautiful playmat with attachment links and a soft padded mat. 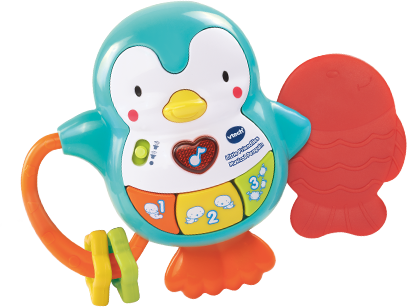 Detachable piano activity centre introduces animals, shapes, sounds and colours. 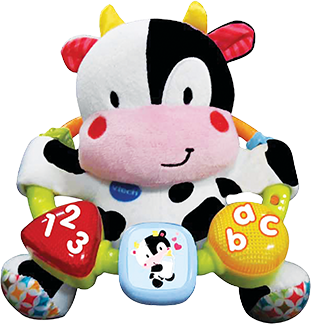 Plush cow introduces a-b-c, 1-2-3, shapes and colours with lot of fun phrases. 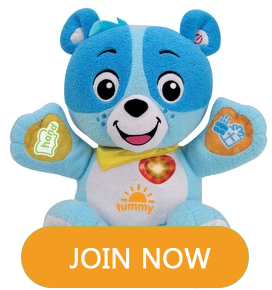 Includes 12 melodies and 3 sing-along songs. 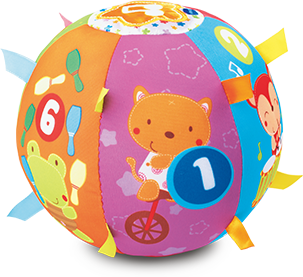 Introduces numbers, animals and objects to baby. Shake the ball for fun sounds! Includes 5 sing-along songs and 15 melodies.